Social kissing in France is a cultural labyrinth, but former French first lady Carla Bruni-Sarkozy, seems to have mastered the art of the kiss. 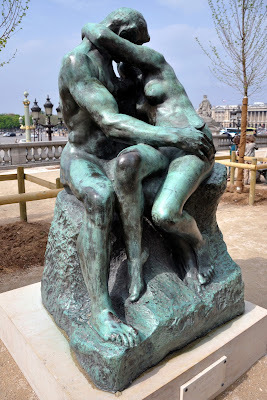 Keep in mind, "faire la bise" bears no relation to "French kissing" or "le baiser" as immortalized by Rodin. In most all of France, public displays of affection are ubiquitous; kissing, vigorous handshaking, and hugging included. But the air kisses known as "faire la bise," can be seen as an expression of mutual respect, or as affection. Faire la bise can be witnessed in doctor's waiting rooms, in the streets, outdoor cafés and even in the market place. A popular French joke is that you may recognize the city you are in by counting the number of cheek kisses, as it is so varied across the country. An online map of France even shows the number of kisses currently claimed to be used in each region. It shows it's more common in the southern parts of France, even between males, whether they be relatives or friends. In the north however, it is less usual for two unrelated males to share 'la bise'. 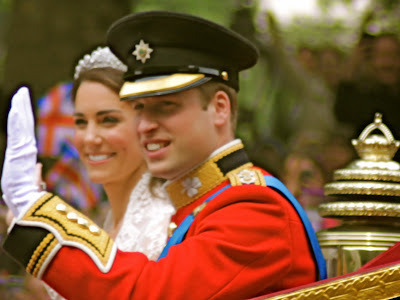 In the Netherlands and Belgium cheek kissing is commonly used as a greeting between relatives and friends. But women will kiss both women and men, while men will kiss women and refrain from kissing other men. They prefer to shake hands, especially with strangers. Usually three kisses are exchanged in the Netherlands and the Dutch part of Belgium. The same is found to be true in Switzerland. In Francophone Belgium, the custom is usually one or three kisses. On occasion, you may exchange bises with the same person three times: when you arrive, congratulating an achievement or thanking him or her for a gift, and then again when one is leaving. With regard to etiquette, in la bise, the kisses (there should be at a minimum two) are aimed at alternate cheeks. No one can seem to agree on which cheek gets the first bise, but everyone agrees that the lips remain closed. One kiss is the preferred option in only two départements: Finistère at the western tip of Brittany and Deux-Sèvres in the Poitou-Charentes region. Elsewhere in Poitou-Charentes, three kisses are preferred: in the departments of Vienne and Charente. The largest block of three-kiss-départements is located in the southeast. Trois bises are the thing to do in Ardèche, Aveyron, Cantal, Drôme, Haute Loire, Hautes Alpes, Hérault, Gard, Lozère and Vaucluse. Four kisses are de rigueur in a large region in northeastern France. Apart from the isolated coastal département of Pas de Calais, this is a contiguous area, consisting of 22 départements from Normandy to the Belgian border: Ardennes, Aube, Calvados, Eure, Eure et Loire, Haute Marne, Indre, Indre et Loire, Loire et Cher, Loire Atlantique, Loiret, Maine et Loire, Manche, Marne, Mayenne, Orne, Sarthe, Seine et Marne, Seine-St-Denis, Val d’Oise, Vendée and Yonne. The rest of the country is two-kisses territory, apart from the same département in northeast Paris that stood out by turning Royal red amidst a sea of Sarkozy blue in the first round of the French presidential elections that year. More Retro Etiquette for "The Lady"
Gilded Age Dinner Etiquette "Extras"